Ah, the 24 Hours of Lemons. The racing series where ingenuity, driving skills, ridiculousness and bribery all come together for an unforgettable experience. 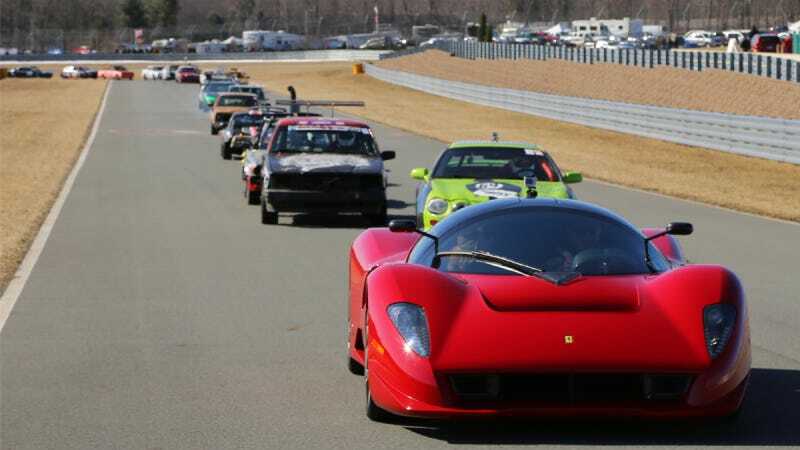 But at a Lemons race this weekend at the Monticello Motor Club, the pace car cost slightly more than just $500: James Glickenhaus' fantastic Ferrari P4/5 by Pininfarina. You may recall that the Glickenhaus' P4/5 is a customized, Pininfarina-designed one off version of the Ferrari Enzo. He commissioned a race-going version years later known as the P4/5 Competizione, but the road-going version does just fine on its own, thank you very much. At least, it does when it's leading a bunch of old Celicas and Cavaliers around the track. Check out the video to hear that fantastic V12 growl. Not bad for a Lemons race.